How to decode web forms (such as guestbooks, polls/quizzes, and order forms)? How to send form data to your e-mail address, or save the data to a file or database? How to write a page counter? How to build an online shopping cart? How to use web cookies to track visitors to your site? How to create a password-protected website, and how to allow users to register for the site? How to write your own web message board or web log program? You can easily learn how to do all of these things and more. 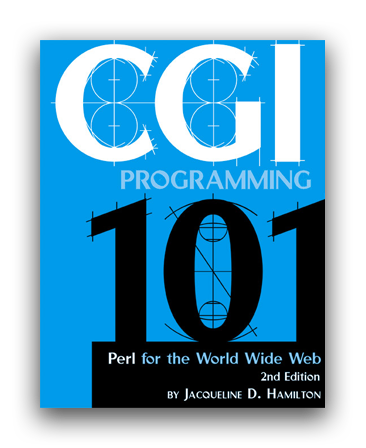 If you can build a web page, you can write CGI programs. Get started now with the sample chapters!